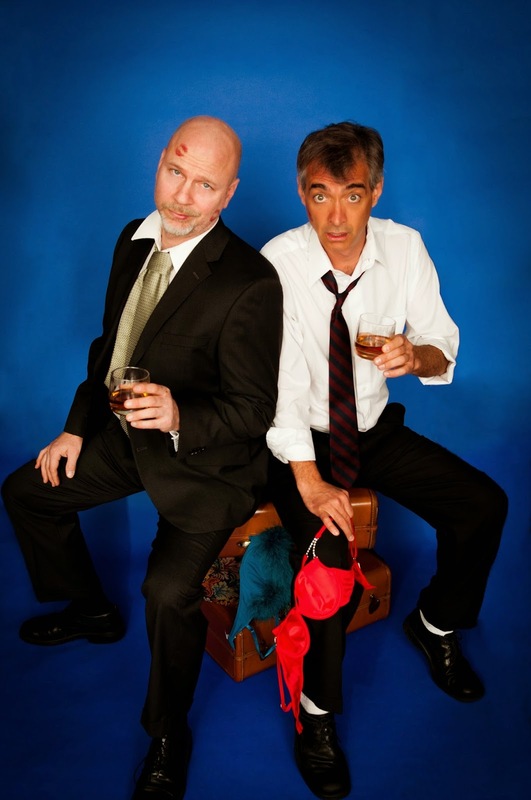 Scott Treadway and Charlie Flynn-McIver are back on stage together in Don’t Dress for Dinner. North Carolina Stage Company (NC Stage) is excited to announce the production of Don’t Dress for Dinner in November and December of 2014. Bernard (Flynn-McIver) is at it again. He makes big plans for a romantic rendezvous with his mistress complete with a solid alibi from his friend Robert (Treadway). Everything is perfect. Until. Bernard’s wife decides to stick around for a tryst of her own. The cook is Suzette, the lover is Suzanne, the wife smells trouble, and the friend is bewildered. One twist leads to another as the men in this fast-paced farce work hard to keep up appearances. Also starring Jennifer Gatti, Alice Eacho, Trinity Smith, and Strother Stringley. The production is directed by Neela Munõz who has directed several other productions with NC Stage including the prequel, Boeing Boeing, at NC Stage in 2011. Scott and Charlie were recently voted the top two actors in the Best of Mountain Xpress poll. They have enjoyed a long history on stage together and are thrilled to collaborate again. The pair performed together in July 2014 at Flat Rock Playhouse in Boeing Boeing, the prequel to Don’t Dress for Dinner. Ticket Prices: $14-$32. Student tickets $10 anytime! Never any ticketing fees. Pay-What-You-Can: Wednesday, November 12th, 2014.